Earlier this year, I reviewed (and completely adored) Story Box: Create Your Own Fairy Tales. 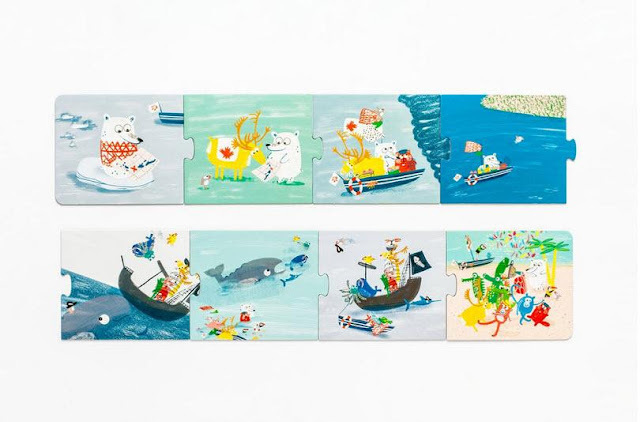 I gave the story telling puzzle (20 double sided pieces, 40 illustrations and eight feet of story telling fun) a test run at home and then took it to school with me where is was hugely popular, especially with English language learners and special ed students. 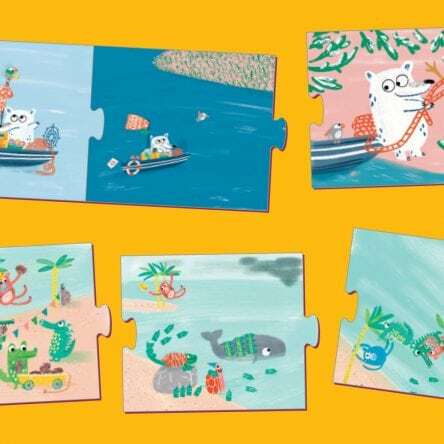 Illustrator and storyteller Claudia Boldt's tagline is, "Strange Worlds and Absurd Characters," and this is on full and fabulous display here! The starting piece gives storytellers two ways to being an adventure - with a polar bear in a cozy sweater sitting on a floating chunk of ice and holding a map in her/his hand AND with a smiling tortoise on a desert island, party hat on her/his head, standing in front of a calendar (strung between two coconut trees) showing that the fiesta day has arrived. 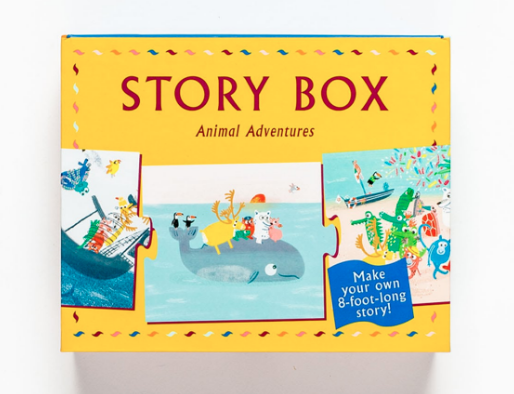 Polar bears or tortoises, parties or pirates, Story Box: Animal Adventures is sure to give hours of enjoyment, entertainment and inspiration to all who open it!